The New York State Gaming Commission met on the 16th of July for their scheduled meeting in which sports betting appears briefly, although according to the director, regulators are still drafting a framework for the industry. In the 2013 referendum voters authorised sports betting via casinos and in May the change arrived courtesy of the US Supreme Court. But now it is two months later, New York regulators are still stuck on the bottom stair, and Sports Betting in New York seems to still go nowhere. It’s been decades now that any form of sports betting has been illegal outside Nevada, the only light down the tunnel is that the Supreme Court ruling is about to change all that, and luckily the announcement came before the start of the NFL season kickoffs. 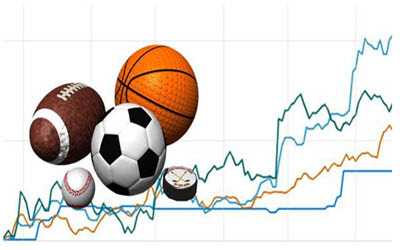 Sports enthusiasts should not get too excited as it won’t happen overnight that the future of online sports gambling changes and it still don’t mean that it will indeed change everywhere. Only four states allow online gambling and when it comes to sports betting it is only Nevada that extends that, so the process can be tedious and there is still the requirement that you must appear in person to open an account. It is only afterwards you can download an app and use it to place bets. The Supreme Court did not legalise sports betting overnight, while some of the states may, there are 12 states that had pending legislation anticipating the end of PASPA, hoping to fast-track their progress in accepting wagers on sports. Six others have post-PASPA legislation either placed the idea on hold or just let it fade into nothing, but the fact remains that many will act quickly. Everyone anticipates that in the next few weeks that the legislature of New Jersey will pass a law that regulates and tax sports betting and from there more weeks or possibly months of regulatory work will follow before the flip of the switch. According to speculation several states have sports-betting laws already sorted, these include West Virginia, Pennsylvania, Mississippi and Delaware. In around five years sports enthusiasts can expect to see thirty-two states all offering legalised sports betting, although online sports betting options might remain surprisingly scarce. Online sports betting remains a sensitive topic, and not even the gaming industry has fully settled on whether it wants to support it in full. With regulated, legal sports betting being a new entity for the states, players should expect that policymakers would take a more conservative approach and casinos might strictly permit online bets only to players within state borders. VPN’s won’t work as online casinos and sports betting sites will soon have several systems in place to trace your location, according to GeoComply over 100,000 users have been blocked already each month.